12-Lead EKG & Chest X-Ray Interpretation: Enhancing Assessment Skills for Improved Outcomes is organized by PESI HealthCare and will be held on Apr 25, 2019 at Sheraton Westport Chalet Hotel St. Louis, St louis, Missouri, United States of America. This Course has been approved for a maximum of 6.3 contact hours. Target Audience: • Nurses • Nurse Practitioners • Clinical Nurse Specialists • Physician Assistants Course Description: The EKG and Chest X-Ray are the most commonly used procedures for diagnosing a wide variety of cardiac and respiratory conditions, yet even the most seasoned nurses struggle to master interpretation. Attend this seminar and finally learn to recognize borderline and abnormal findings. In this information-packed program expert, Cheryl Hermann, will teach you easy-to-understand techniques to identify coronary and pulmonary problems you would have previously missed. 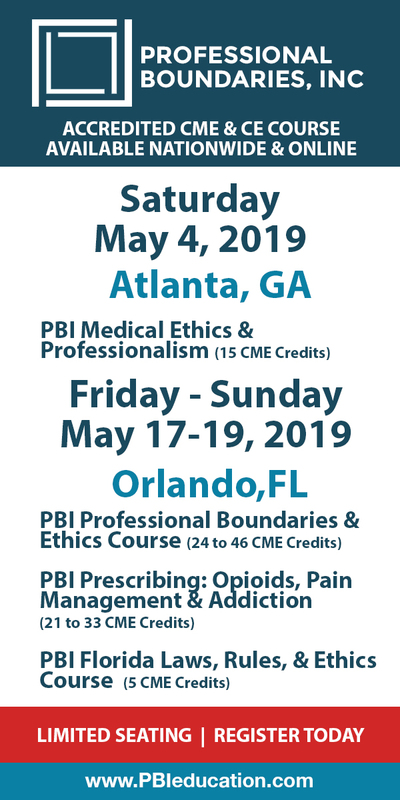 Don't miss this opportunity to learn how to: • Analyze QRS axis to determine diagnosis • Contrast left anterior and posterior hemiblocks • Recognize the location of acute coronary syndromes • Interpret chest x-rays for differential diagnosis • Perform more efficient and effective patient assessments • And most importantly, respond to the patient emergencies associated with each of these changes! Learner Objectives: • Analyze EKG changes associated with ischemia, injury and infarction patterns. • Specify the features of right bundle branch block from the features of left bundle branch block. • Evaluate axis deviation and the implications for clinical practice. • Assess common cardiac and pulmonary disorders using the chest x-ray. • Detect the placement of invasive lines on chest x-rays. • Develop a systematic approach to chest x-ray interpretation. • Incorporate the clinical pearls of EKG and chest x-ray interpretation into daily practice. Spring Family Medicine Update is organized by Missouri Society of the American College of Osteopathic Family Physicians (MSACOFP) and will be held from May 04 - 05, 2019 at St Louis, Missouri, United States of America. Additional details will be posted as soon as they are available. 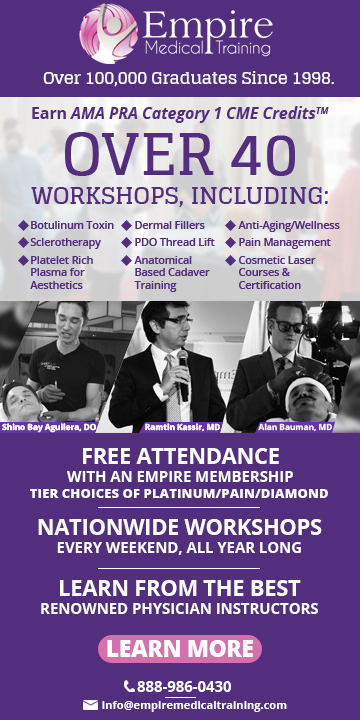 BOTOX/Dermal Filler Training Course is organized by Aesthetic Medical Educators Training (AMET) and will be held on May 04, 2019 at St Louis, Missouri, United States of America. Description: This comprehensive 8-hour Botox and dermal filler certification class is our most popular offering and provides participants with certification for both BOTOX® and injectable dermal fillers. Aesthetic Medical Educators Training is proud to also provide participants with CME credits when they complete the course.Our extensive, one day Botox courses for physicians, nurses and doctors provides hands on training during the afternoon session, allowing participants to begin performing BOTOX® and Dermal Filler procedures immediately. All products and models are provided by Aesthetic Medical Educators Training at no additional cost to the participants (unless participant chooses to be a model). Our intensive, one day training teaches you everything you need to know to perform these treatments on patients. With classes available throughout the country, you are guaranteed to find a time and place that fits your schedule. The Aesthetic products used in the hands on session of BOTOX® Training include BOTOX®. Aesthetic products that are discussed in the didactic session of the BOTOX® Training include BOTOX®, Dysport and Xeomin. The Aesthetic products used in the hands on session of the Botox and filler certification classes include Juvederm Ultra and Juvederm Ultra Plus. Aesthetic products discussed in the didactic session of the Dermal Filler Training include Juvederm Ultra, Juvederm Ultra Plus, Restylane, Restylane Lyft, Restylane Silk, Radiesse, Sculptra, and Arte Fill. Objectives: • Discuss the history, safety, mechanism of action, and preparation of BOTOX® • Describe the cosmetic indications and contraindications of BOTOX® • Demonstrate knowledge of facial anatomy and physiology as it applies to facial aesthetics • Discuss the categories and types of dermal filler products • Describe techniques for dermal filler injections to correct nasolabial folds, melomental folds and wrinkles, and lip augmentation • Discuss the client selection process for the BOTOX® and Dermal Filler procedures • Address the growing US market for aesthetic procedures, in particular BOTOX® and Dermal Fillers, and how you may capitalize on this demand and start providing treatment to your own clients • Demonstrate proficiency in conducting an aesthetic patient consultation • Practice proper injection techniques in the use of BOTOX® and Dermal Fillers. Additional details will be posted as soon as they are available. Cardiopulmonary Therapy for the Rehab Professional: Therapeutic Interventions for All Aspects of Cardiac Care - From ICU to Outpatient is organized by PESI HealthCare and will be held on May 17, 2019 at Sheraton Westport Chalet Hotel St. Louis, St louis, Missouri, United States of America. Additional details will be posted as soon as they are available. Surgery Mock Oral Course is organized by The Osler Institute and will be held from May 31 - Jun 02, 2019 at Crowne Plaza St. Louis Airport, St louis, Missouri, United States of America. This Course has been approved for a maximum of 29 AMA PRA Category 1 Credit(s)™. Course Description: Hone your critical reasoning and communication skills in an intensive 3-day case review course designed to help you zero in on what is most clinically relevant for diagnosis, surgical approach, and case management in all essential areas of general surgery. The course covers standard of care relevant cases utilizing a half-hour public mock oral exam format. Participants and faculty review face-to-face in a 25-minute simulation of the oral board process followed by faculty critique and audience response; 2-4 cases are reviewed in each 30-minute session for a total of 40-80 case reviews per day. Course fees include participating in one public mock oral exam and observing others being examined. Learn from doing and from observing. You may purchase as many additional public or private mock oral exams as you like; however, availability and topics may be limited within two weeks of the course. Please contact the Osler office prior to that time to ensure availability. Topics Covered: • Abdominal Wall and Hernia • Gastric Surgery • Gastrointestinal Bleeding • Liver and Gallbladder • Pancreatic Surgery • Spleen • Colorectal Surgery • Head and Neck Surgery • Esophageal Surgery • Thoracic Surgery • Breast Surgery • Vascular Surgery • Endocrine Surgery • Pediatric Surgery • Trauma • Critical Care Early Bird Special, Save 10% on Registration fee until April 30 Additional details will be posted as soon as they are available. Cardiology Update ~ 2019 is organized by Washington University School of Medicine in St. Louis and will be held on Jun 01, 2019 at Eric P. Newman Education Center (EPNEC), St Louis, Missouri, United States of America. Additional details will be posted as soon as they are available. Eval & Adjusting Protocols: Correcting Spinal & Cranial is organized by International Chiropractic Pediatric Association (ICPA) and will be held from Jun 01 - 02, 2019 at Sheraton Clayton Plaza Hotel St. Louis, St Louis, Missouri, United States of America. This CME Conference has been approved for a maximum of 12 hours of continuing education credits. Course Description: Expand your effectiveness and capabilities with your pediatric patients. In this hands-on workshop, you will explore the spinal and cranial adjusting techniques that can be implemented into your current practice paradigm. Examination, assessment and spinal and cranial adjusting for the child are taught using specialized meningeal and structural techniques founded on Sacro Occipital Technique principles. Course Goals: You will gain an understanding and working knowledge of how to evaluate, locate and correct pediatric primary cranial and spinal subluxation patterns. The course work focuses on ages 0-18 months using neurological indicators and objective evaluation protocols to determine these primary patterns and their corrections. Additional details will be posted as soon as they are available. 2019 Association of Public Health Laboratories (APHL) Annual Meeting is organized by Association of Public Health Laboratories (APHL) and will be held from Jun 03 - 06, 2019 at St. Louis Union Station Hotel, Curio Collection by Hilton, St Louis, Missouri, United States of America. The APHL Annual Meeting is a 4-day conference of more than 600 professionals that addresses public health laboratory issues, trends and technologies relative to emerging infectious diseases, environmental health, emergency preparedness, informatics, food safety, newborn screening, global health and more. It consists of a member assembly, plenary sessions, general and breakout sessions, roundtables, posters and exhibits. The APHL Annual Meeting is open to anyone with an interest in the work of public health laboratories. Why Attend? • Learn more about contemporary issues in laboratory science • Network with partners and friends • Explore new ways to manage your laboratory • Contribute to multiple discussions • Visit 60+ exhibitors to see the latest in laboratory technology, supplies and services Who Attends​​? • State, county and city public health laboratory directors and personnel • Clinical and academic institution managers and staff • Environmental and agricultural laboratory directors and scientists • Healthcare professionals and clinicians from public health agencies • Federal agencies or state and local public health officials • Clinical and academic laboratory managers and staff • Others interested in laboratory issues Additional details will be posted as soon as they are available. Association of Regulatory Boards of Optometry (ARBO) Annual Meeting 2019 is organized by Association of Regulatory Boards of Optometry (ARBO) and will be held from Jun 16 - 18, 2019 at St louis, Missouri, United States of America. Additional details will be posted as soon as they are available. Annual Conference & Expo 2019 is organized by Association of Nutrition & Foodservice Professionals (ANFP) and will be held from Jun 20 - 23, 2019 at St. Louis Union Station Hotel, Curio Collection by Hilton, St Louis, Missouri, United States of America. Additional details will be posted as soon as they are available.